And Satyavan had passed from her embrace. Thy thoughts are mine, I have spoken with thy voice. “Descend to life with him thy heart desires. 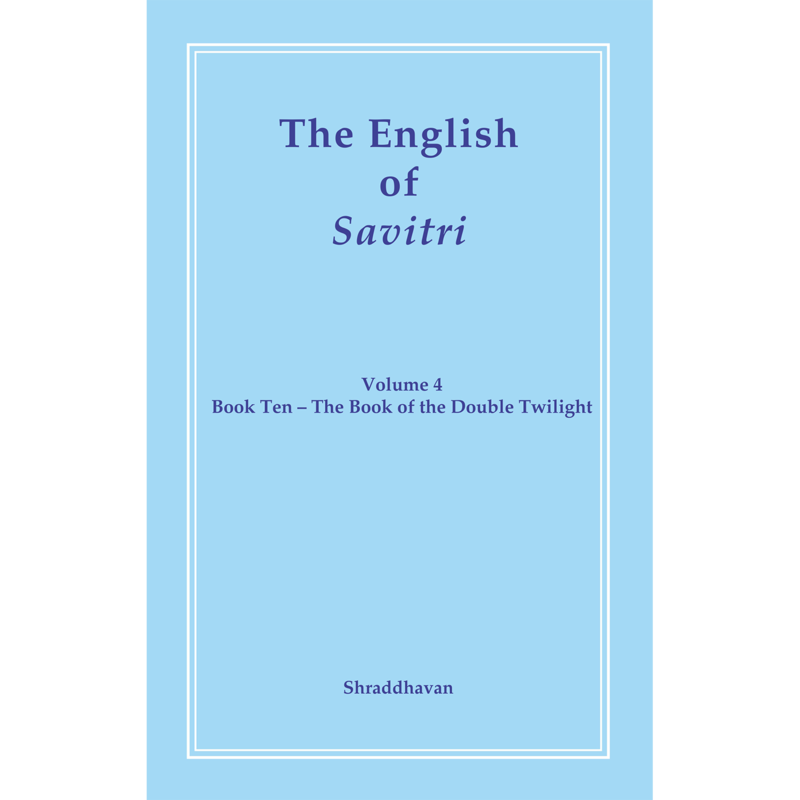 The Supreme Voice gives an exhaustive prophecy of what Savitri’s Victory will mean, first for herself, and then for the future of the earth, bringing a close to Book Eleven, which is followed by Book Twelve, Epilogue – The Return to Earth. 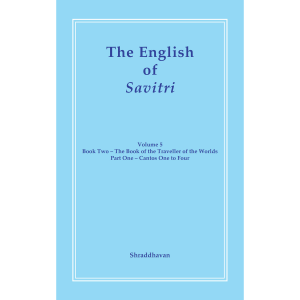 This fourth volume in the English of Savitri offers first a brief summary of the two cantos of Book Nine, and then focuses on the four Cantos of Book Ten. 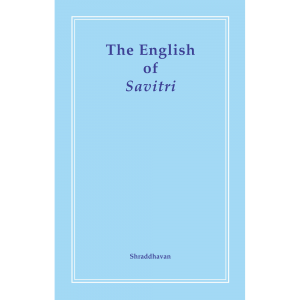 It appears from Sri Aurobindo’s letters and what Nirodbaran has written in his Twelve Years with Sri Aurobindo that Book Ten of Savitri was composed between 1946 and 1947, with only a few lines here and there originating from earlier versions of the poem. We are told that especially its fourth canto was considerably expanded at this time to about 18 times its original length. … [O]ld drafts … formed merely a starting-point for the four cantos of Book Ten. The speeches of Savitri and Death were refashioned, rearranged in their order, and new ones inserted. 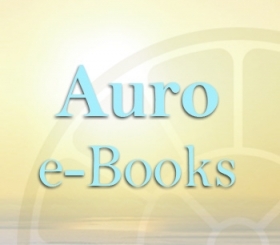 As he proceeded from one canto to the next, Sri Aurobindo added longer and longer passages that were quite new. The first section of Canto One, the long speech of Death which ends Canto Two, all but the last few pages of Canto Three, and most of Canto Four—especially its second half, where Savitri finally triumphs over Death—owe little or nothing to any early version. I am not doing it to show it to people or to have anyone read it, but to remain in Savitri’s atmosphere, for I love that atmosphere. … The idea isn’t to make a translation, but to SEE. To try something. To give me the daily experience of that contact. … It will be an interesting thing to do. The Mother started translating from Book Ten some six months later, on March 13, 1963, and continued up to July 1, 1970. There are many references to this work in the course of the Agenda and it is evident that, as she expected, it paralleled and illumined her sadhana. So far as we know, she translated into French 1611 lines from the 2385 lines making up Book Ten. What is the special interest of this Book in particular? 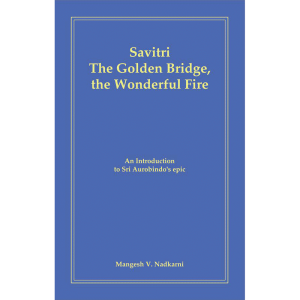 Savitri offers us so much spiritual Knowledge in the course of the poem: there is ‘The Secret Knowledge’ shared with us in Book One Canto Four; then Aswapati’s exploration of all the planes of existence in Book Two, followed by his meeting with the Divine Mother in Book Three and all that she reveals to him. 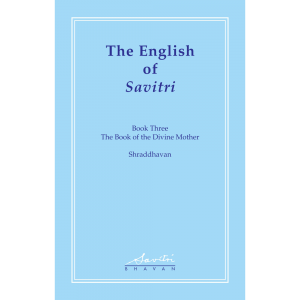 There is the revelation of Savitri’s ‘Birth and Quest’ in Book Four, and Sri Aurobindo’s disclosure of the true nature of human love at the end of Book Five, Canto Two. Then in Book Six, Canto Two we find Narad’s revelations about ‘The marvel and the mystery of pain’. 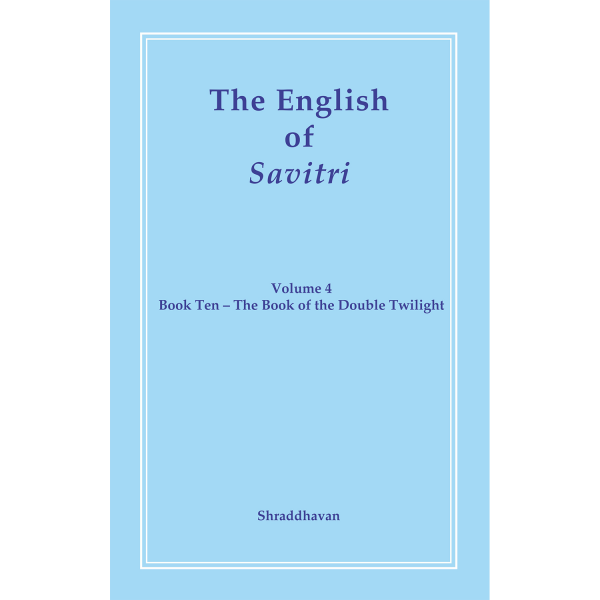 These are followed by the successive revelations given in Book Seven, as Sri Aurobindo leads us through the course of Savitri’s Yoga. But it is when we come to Book Ten that we feel most acutely that through the words of Savitri in her debate with Death Sri Aurobindo is giving us his answers to our own doubts and disbeliefs. I answer to thee with the Truth that saves. Death’s words and arguments may seem convincing, even obvious and natural to us at first because they correspond to what we ourselves think and believe. But Sri Aurobindo, in his great compassion, reveals to us through Savitri’s responses a higher Light, which disperses the darkness of Death and Ignorance and illumines us with ‘the Truth that saves’, which shall enable ‘this earthly life’ to ‘become the Life Divine’. 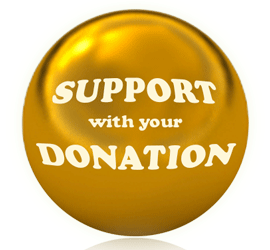 All gratitude to Sri Aurobindo!